Living a Fit and Full Life: e.l.f. Cosmetics - Affordable Makeup that Works! These color correcting concealers help balance and correct skin tone for a flawless look. 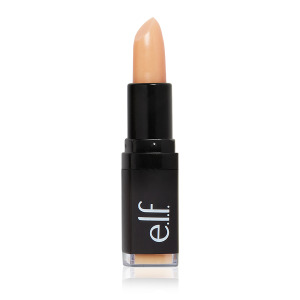 The creamy formula melts into skin for seamless blendable coverage. The array of colors target skin concerns to instantly help cancel and neutralize color imperfections. Infused with Vitamin E to help hydrate the skin. Green: Helps to reduce redness like that from Rosacea, sunburns, or blemishes. Lilac: Helps brighten sallowness or yellowness for a healthy looking glow. Peach: Helps to illuminate and conceal dark circles or hyperpigmentation on light skin tones. e.l.f. Cosmetics is affordable makeup that works! 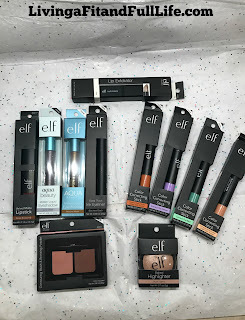 I've always splurged on makeup but lately I've been trying to save money so I've been trying out a few more affordable brands and I've extremely impressed with e.l.f Cosmetics! e.l.f. 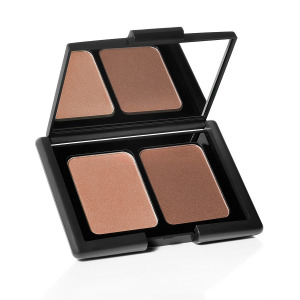 Contouring Blush & Bronzing Powder Is fantastic! It goes on well and blends perfectly. I also love the colors available and how easy this little palette makes contouring and accenting. e.l.f. Color Correcting Sticks come in different colors to correct different flaws. Green: Helps to reduce redness like that from Rosacea, sunburns, or blemishes. Lilac: Helps brighten sallowness or yellowness for a healthy looking glow. Peach: Helps to illuminate and conceal dark circles or hyperpigmentation on light skin tones. Orange: Helps to illuminate and conceal dark circles or hyperpigmentation on deeper skin tone. These correcting sticks blend extremely well and truly do work wonders for each specific flaw your trying to conceal. e.l.f. Baked Highlighter is not only beautiful but it's an amazing highlighter. Definitely one of my favorite highlighters. 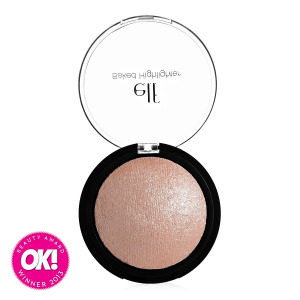 It blends well and I love that it can be applied wet for an even more vibrant highlight. e.l.f. Velvet Matte Lipstick is also a new favorite of mine. I love the matte finish! I've never been a huge fan of glossy lip color but this matte lipstick is fantastic. It also seems to stay on pretty well. e.l.f. 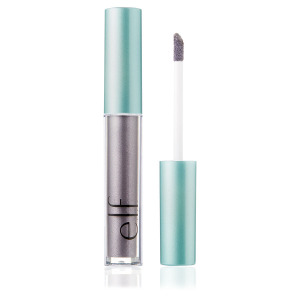 Lip Exfoliator is a product I've needed for a long time. My lips have always been extremely dried out and look so unhealthy. 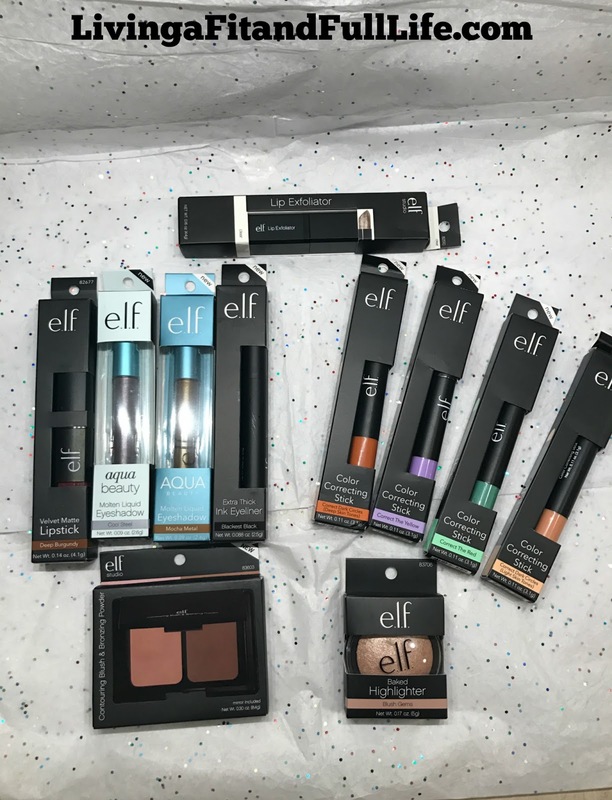 Thanks to e.l.f. Lip Exfoliator my lips look amazingly healthy and my lipstick looks better than ever. e.l.f. Aqua Beauty Molten Liquid Eyeshadow is fantastic! I love the dramatic color and how well it stays on. It makes my eyes so pretty! e.l.f. 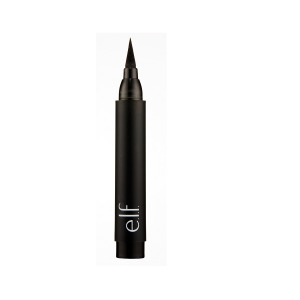 Intense Ink Eyeliner is just that! Intense but absolutely beautiful! e.l.f. Intense Ink Eyeliner is definitely one of my favorite eyeliners and one I'll be using for a long time to come. e.l.f. Cosmetics are amazing and do an incredible job to help me look my best! 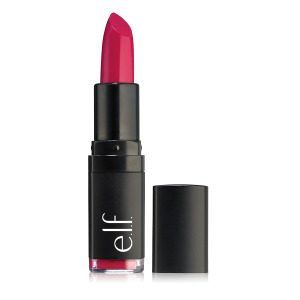 Click HERE to find a store near you that sells e.l.f. Cosmetics! Click HERE to learn more about e.l.f. Cosmetics! 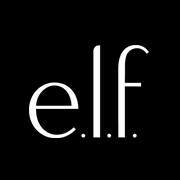 Follow e.l.f. Cosmetics on social media!